This book continues the story that began in “A Golden Age” with the Bangladesh Liberation War and follows Maya, Rehana and Sohail Haque. The story is presented in two timelines – one starts in 1982, when Maya, Rehana’s daughter returns home after having been away for seven years and working as a country doctor. The other is earlier, starting from the end of the war when Rehana’s son Sohail returns home from war. Mostly everything is seen from the point of view of Maya – she returns to a home and family that have changed. Her brother has become a religious leader and lives in a hut on top of his mother’s bungalow. He has a son, Zaid, whose mother has just died a few days before Maya returns. From the beginning there are several tales to be followed here. The timeline from just after the war that is weaved between the later 1980s one, follows how Sohail changes and becomes the man that Maya meets on her return and also gives an idea why she had left in the first place. The second timeline shows more of the everyday life of Maya and her mother and Zaid. The book brings out several problems -one of them being how much should a relative influence the upbringing of a child that isn’t their own – as Maya is trying to give Zaid some education and tries to convince Sohail to put the kid into a school, but Sohail has his own plans for him. The other and maybe a greater theme is a person finding religion for himself – we see how Sohail has changed and how Maya has tried to cope with it, and how she doesn’t understand why he changed and what had happened to him. We only find out later on something more about what happened to Sohail, and what might have pushed him to throw himself into religion, whether that’s enough or not, you can decide for yourself. There are some troubling topics raised – mostly in violence against women who were taken captive during the war and used by the soldiers, and what happens to the women after the war is over. It isn’t a happy read, but it does give a glimpse into a different kind of world. In 1959 a young widow Rehana loses her children Sohail and Maya – they’re taken from her by her brother-in-law’s family to Karachi, Pakistan. The children stay there for a year, while Rehana is searching for a way to get them back. The story continues in the year 1971, the children have been back with Rehana in Dhaka, East-Pakistan for ten years, and while Rehana’s family is having a party, there are political and military events afoot, that throw the lives of people in East-Pakistan in to the middle of a war. The young people are fighting for a separate country from Pakistan – Bangladesh, and Rehana’s son and daughter are actively taking part in the fight. 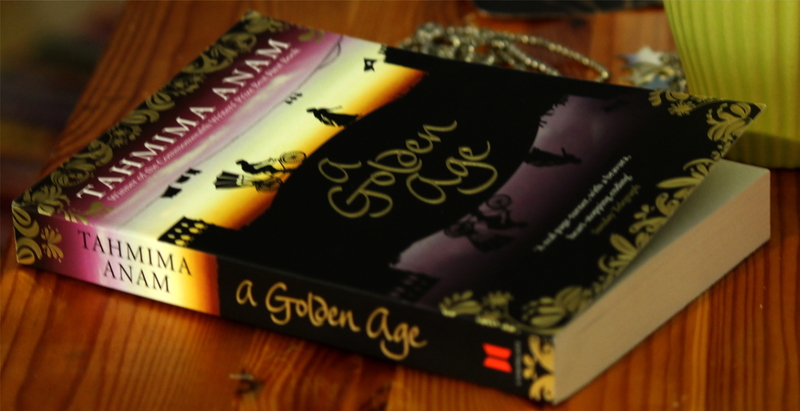 A Golden Age is an interesting novel showing the life of a family and the birth of a country through violence. The writing is simple, in parts almost ironic, and conveys the feelings of loss and fear. The story is also fascinating as the reader can see how some people change the side from supporting a separate country to staying one with Pakistan, as well as the opposite, but also how someone who doesn’t really have no reason for preferring one or the other has to choose. The novel does show one fighting side with more reason to support it. You can read about the military entering Dhaka and what they do. “At ten o’clock the tanks began to fire. The book has similarities to some other books that deal with military and political conflicts, the differences mostly beginning with different geographic location, and at least in case of novels that are set in the Middle East or Asia, there’s more of a religious conflict, but there’s not too much of that (not visibly anyway) in A Golden Age, although we do know that Rehana and her family and most of her friends are Muslim, and the Hindus are leaving East-Pakistan to go to India. However it certainly had a slight family drama aspect to it. Rehana is the main character in the novel, so we see everything through her eyes – her opinions, her past, her fear for her family etc.